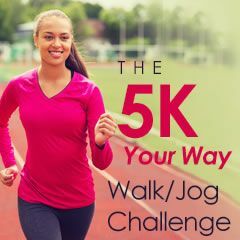 I am beginning week 4 of my 5 weeks to a 5K and my first race is on April 20th. I have been diagnosed with Bursitis in my left hip and have the go ahead from my physician to continue with my training. I do the stretches she gave me to do before and after any exercises, and also use either heating pad or ice afterwards. I spent the majority of yesterday on the couch due to major discomfort/pain in my hip. Has anyone dealt with this/or dealing with it and possibly have any tips. I don't want to have to give up on my goals for doing these races.